* Type constants in the Thrift protocol. * writes to some output stream. // use as padding for backwards compatability where a previous version needs to validate a verb from the future. * This pool is used for periodic short (sub-second) tasks. * This pool is used by tasks that can have longer execution times, and usually are non periodic. // check the system table to keep user from shooting self in foot by changing partitioner, cluster name, etc. // until system table is opened. * accesses to CFS.memtable should acquire this for thread safety. * Table.maybeSwitchMemtable should aquire the writeLock; see that method for the full explanation. 在记录（records）类型和数值（numeric）类型之外，Avro还包括了对数组（arrays），映射（maps），枚举（enums），变量（variable），定长二进制数据（fixed-length binary data）以及字符串 （strings）的支持。Avro还定义了一个容器文件格式（container file format），以提供良好的支持给MapReduce以及其他分析框架。细节见Avro specification. // for bootstrap to get the load info it needs. 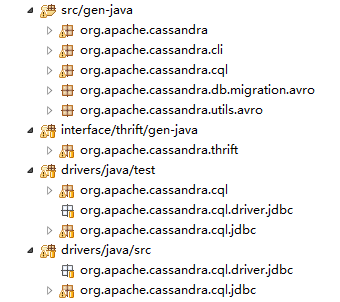 Gossiper.instance.start(SystemTable.incrementAndGetGeneration()); // needed for node-ring gathering. /** get a byte representation of the given string. 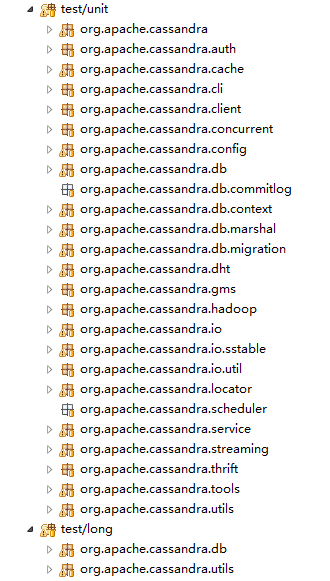 “‘Launching CassandraDaemon’ has encountered a problem. //Initialize logging in such a way that it checks for config changes every 10 seconds. // try loading from a physical location first. // load from the classpath. 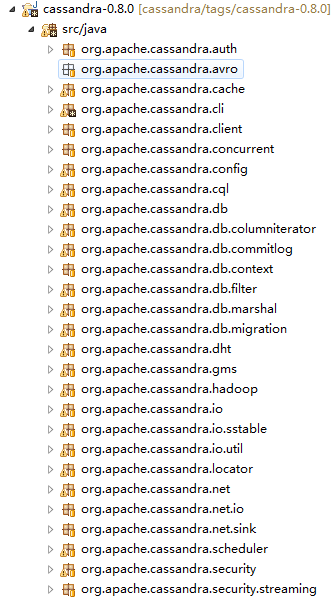 if "%OS%" == "Windows_NT" setlocalif NOT DEFINED CASSANDRA_HOME set CASSANDRA_HOME=%~dp0..